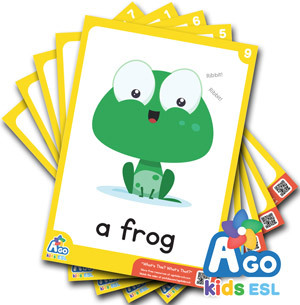 Get the free ESL flashcard pack to go along with the BINGOBONGO Rock song, “Hello, Hello. 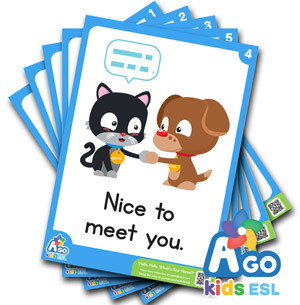 What’s Your Name?” Use these flashcards when teaching “What’s your name?” and “Nice to meet you!” Cute, colorful, and, best of all, free! SKU: CD1-02-FCP Category: Free ESL Flashcards Tags: BINGOBONGO Rock Vol.1, Hello Hello. What's Your Name? 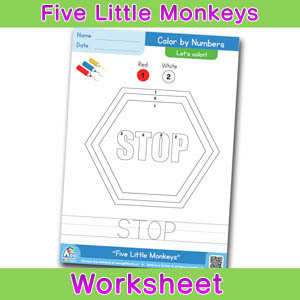 Don’t forget to get the songs and free worksheets for the ultimate English lessons!